First and second degrees in Physics at the Technion. PhD in Physics at the Technion. 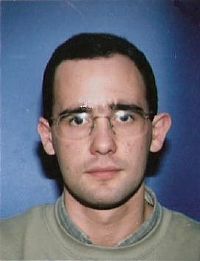 Participated in the Technion Excellence Program: October 1995 – February 1997. Utilized the advantages of the Program by including advanced courses in his curriculum. Started his second degree simultaneously with his first degree, and also conducted research under the direction of Prof. David Gershoni on the subject: "Near field optical spectroscopy of semiconductor nano-structures". This focused upon researching the optical and electronic characteristics of quantum dots of semi-conductors. Proceeded onto the direct doctoral track in physics, researching the subject he had started during his undergraduate studies. He has participated in eight international conferences and until now has collaborated in the publication of 11 scientific articles. About the Program: "It enabled me to familiarize myself well with experimental work through the research I undertook during my undergraduate years." Recommendation to Program participants: "In the modern world, technology and work methods are constantly changing. Therefore it is important, on the one hand, to keep pace with recent developments, and on the other, to continue to develop one's intellectual ability as much as possible." Today (2012): Dan is holding an executive technical position in Rafael. And is also a founder of several start up companies in the field of medical devices.